Ahhhhhhhh, I had a nice hiatus from writing for about a week right? Has it been that long? Well, I am resetting a bit right now in my life, so it makes sense for me to take that liberty. Anyhow, I was thinking about people in magazines today. Ever since I was a young boy, I have thought of what it would be like to be in a magazine. Obviously, my viewpoint has changed a little bit, so it's not as much of a big thing anymore. The Internet has brought visibility to a whole other level. To be in a magazine that ravels all around the world is a huge responsibility. Could I handle it if it happened to me? I may in fact find out one day. I will let you know how it goes. I read many magazines per month. I have about 6 subscriptions which takes all of the hassle out of buying magazines from the newsstand. They all come to me at my house. I am always excited when I see a new title arrive and I love to read on the train or in a park or any where that I deem to be cozy. As I look through them, I see so many things that keep me engaged. As I read and read so many magazines that are chock full of information and products and all sorts of things, I realize that I can never read it all or even know it all. This is one of the reasons that I just keep reading. There is never and end in sight. So today as I was reading the current issue of "Travel And Leisure", I came across an interesting face and energy. This man's name is Xavier Dphrepaulezz. I am so glad that this is not a podcast. That name seems a bit tricky to say. Anyhow, this young man has been through so many tough times, like we all have. I was just moved by his fall and rise. It reminds me that each person's journey is so unique and it cannot be modeled after another. You will never even be close to another human being as far as what they do and what came out of it. I won't go too much into his story here. I will connect you to a link that will allow you to see him, hear him, feel him, and maybe even inspire you to keep moving forward even if you are going through it right now. 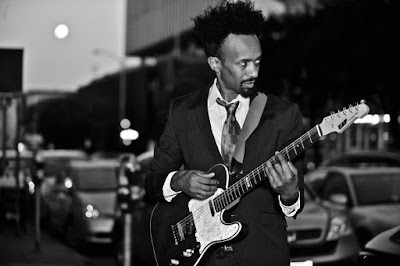 Take a gander at this link >>>>>>>>>> Fantastic Negrito. I love people's stories. I love to feel the diversity in struggle that turns around based on perseverance. I never ever get tired of it. Thank you so very much for checking in with me here. It means so much to me each and every time.